Sue Grafton died a couple days before New Years. While I haven’t gotten around to reading any of her books I have had a lot of fun with her Alphabet mysteries. I spelled out so many fun messages and silly jokes with her books. It’s sad to think that I’ll never be able to make a message spelled out with a Z. A 25 book series is still amazing though. 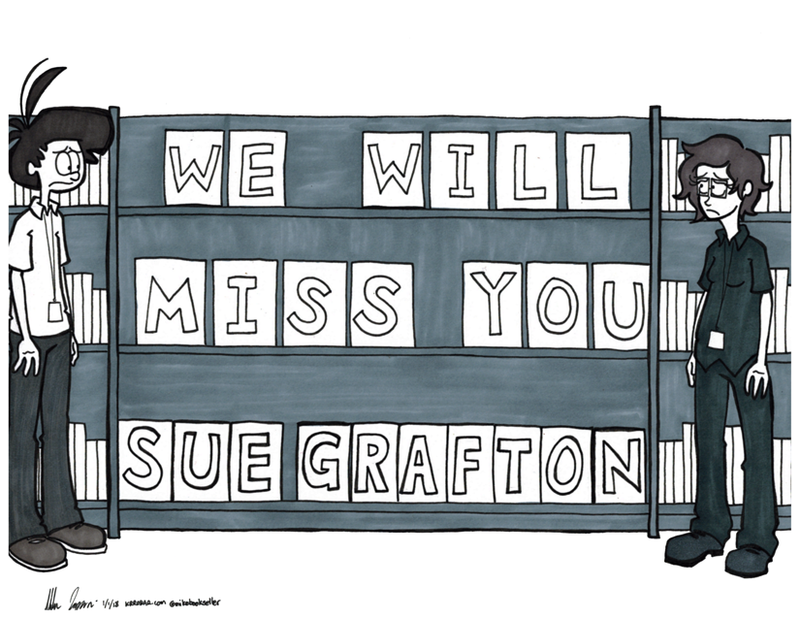 I also respect the intent of Sue Grafton too. No ghost writers, no other ways to finish the alphabet. It was her series. Sue Grafton’s alphabet sadly will end with a Y.